Inflammation is usually associated with normal injuries or sicknesses. Also, you might have a fever or an infection. In cases like these, you’ll experience a burning sensation, swelling, and pain. This is what’s known as acute inflammation. It’s actually a good thing because it’s your body at work, trying to heal itself. However, not many people know about the other kind of inflammation, which is chronic. This is a kind of inflammation that’s linked to other life-threatening conditions such as autoimmune disease, heart problems, diabetes, and cancer. Chronic inflammation happens when your immune system gets out of control and it turns on your own body. What’s worse is that you won’t notice it happening, unlike acute inflammation. It will manifest itself in different ways. For instance, you might find that you can’t lose weight no matter what you do, you’re always gassy or constipated, and you experience chronic pain. And when you let this go on without intervention, this will develop into serious illnesses. Aside from the ones mentioned already, chronic inflammation can also be a precursor to neurodegenerative diseases such as Alzheimer’s and dementia, as well as osteoporosis and premature aging. Essentially chronic inflammation is caused by poor lifestyle choices. This includes eating too much carbs, gluten, processed sugar, and overmedication. Also, a sedentary lifestyle contributes to this condition. This is why, practicing a Paleo Lifestyle is your best defense not just against inflammation, but the other diseases that are linked to it. This is a favorite among Paleo practitioners because of its nutrient-dense goodness. It has a compound called sulforophane which is a heavyweight when it comes to knocking out cancer and inflammation. Not only that, it has vitamin C which boosts immunity and acts as an antioxidant. It also has fiber for good digestion and lowers blood pressure. You’ll usually find this in curry recipes and it’s another superfood that hates inflammation. Not just that, it also has antioxidant compounds that fight free radicals in your body which cause cell damage. Even better is that it promotes the growth of your brain cells. One of the effects of aging is a decline in gray matter. So, a dash of this superspice will keep your brain healthy. Super foods like spinach are loaded with over a dozen antioxidants that can heal your body. You’ll find vitamins A and C in these vegetables, and they’re an excellent immunity booster. This also benefits your eyesight and keeps your skin young and healthy. Other leafy greens include Kale, Swiss chard, Bok choy, and Arugula. Root vegetables are great for reducing inflammation. What’s more, they’re an excellent alternative to grains because of their low sugar content. They’re also packed with fiber, and this helps clean your digestive tract of excess fats and toxins. This also helps prevent cardiovascular problems and lowers inflammation. As a bonus, beet greens are also quite healthy. They are rich in iron to prevent anemia, and potassium to lower your blood pressure. Aside from its anti-inflammatory properties, okra is rich in folic acid. This is especially helpful for pregnant mothers because it supports fetal growth. Vitamin B6 is good for your heart because it helps your blood vessels and improves circulation. This also includes circulation to the brain which helps you avoid Alzheimer’s disease and other related conditions. 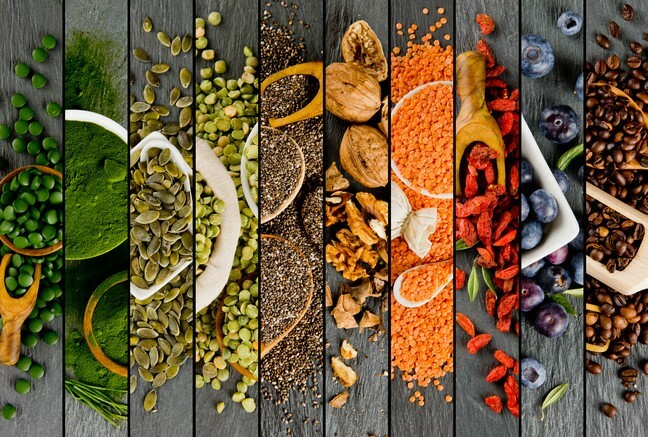 Try incorporating these superfoods to your daily diet to start experiencing their anti-inflammatory benefits. The more you make these and other Paleo foods part of your meals, the better you can protect yourself against the serious consequences of chronic inflammation. Be the first to comment on "Top 5 Paleo Foods That Fight Inflammation"